In stock -This product will ship today if ordered within the next 8 hours and 25 minutes. Pukka Wholistic Red Ginseng is a concentration of the finest parts of red ginseng root gathered from fertile organic soils. This broad-spectrum formula contains the highest organic grade, sustainably cultivated herbs, carefully selected to bring you the full potential of nature’s goodness. Pukka Wholistic Red Ginseng helps restore vital energy and create resistance to long term stress. This multi-dimensional whole body tonic is suitable for the very active as well as the elderly. Pukka Herbs produces and supplies award-winning organic herbal teas and remedies blended by master herbalist Sebastian Pole. 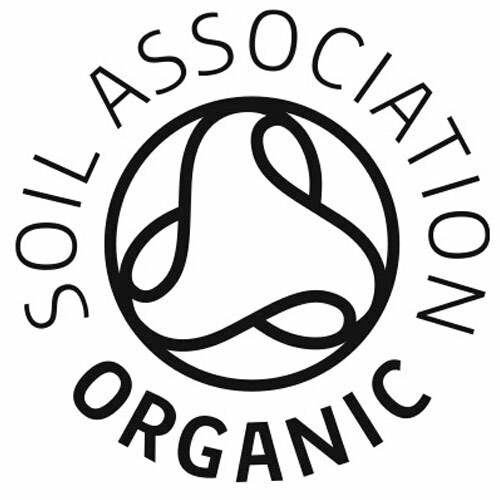 Founded in 2002, Pukka Herbs is based on the principles of Ayurveda – the ancient Indian art of living wisely – and has been a repeated winner at the Great Taste, Soil Association and Natural & Organic Products awards. Replaces Pukka Red Ginseng! Red Ginseng root* 95%, Nutrigest™ Seagreens® Arctic fresh seaweed*, Ginger root*, Spirulina*, Vegetable cellulose capsule (hypromellose). Take 1-2 vegicaps a day with water or Pukka Organic Aloe Vera Juice before food. Keep out of reach of young children. Seek professional advice during pregnancy. Do not exceed the recommended daily intake. Do not use this product as a substitute for a varied diet. Store away from direct sunlight below 30oC. 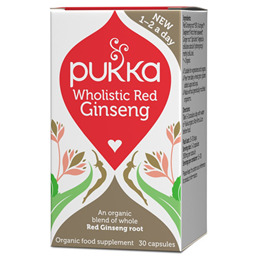 Below are reviews of Pukka Organic Wholistic Red Ginseng - 30 Vegicaps by bodykind customers. If you have tried this product we'd love to hear what you think so please leave a review. Pukka Wholistic Red Ginseng is a concentration of the finest parts of red ginseng root gathered from fertile organic soils. This broad-spectrum formula contains the highest organic grade, sustainably cultivated herbs.